Well, it’s officially out there in the public domain – I am running for two again! I know that people say that you can’t compare pregnancies and that each one is different…and I am completely finding that to be the case. That’s about where it ends. The trouble is, no matter how hard I try not to, no matter how much I know that I shouldn’t I can’t stop comparing how much more I was able to run/workout the first time around. Last pregnancy I ran over 1400 miles total, with over 144 miles in my 9th month. At 5 months pregnant I ran over 210 miles (with at least one of those weeks in the 60s). This pregnancy, at only 3 months pregnant I ran a total 88 miles (and only 41 miles the month prior). Last pregnancy I could hide my weight gain until about 20 weeks. This time I look about the same at 15 weeks pregnant as I did at 25 weeks pregnant. Last pregnancy my pace slowed from “normal”, but generally stayed within the same range until the last two weeks before I delivered. This pregnancy nearly every run has been harder than the last. I “know” the truth is that it doesn’t matter at all what I do and that the number one priority is growing a healthy baby. I “know” that it’s such a short time in the grand scheme of things. I “know” how lucky I am and that I should be happy with anything that I am able to do. I KNOW all of these things and I KNOW that if given the choice I would happily give up running altogether if it were to be the best thing for this pregnancy. I feel lonely when I don’t see friends that I used to see regularly. I feel left out as I see everyone else running strong, while I am just plodding along. I know that I’m growing a human, but it’s still hard to see everyone else getting faster and faster as you are getting slower and slower. I feel frustrated when even when I am trying to take it easy, the effort seems far disproportionate to the pace. I feel scared that after making such big gains last year, I won’t get back to where I was. I KNOW that every bit of frustration is silly and that all of these trade-offs are 10000000% worth it. Admittedly, I am a hot mess of hormones and emotion (to be expected) which lends far too much credence to the “feels”. But at 4 months pregnant, it’s near impossible not to let your emotions get the best of you sometimes! I am certain that once the weather is better and I can get in some runs outside (perhaps even with a group again) that much of this frustration will subside. Being cooped up inside and not seeing sunshine in months starts to take its toll. Winter this year has been particularly brutal (it’s March 4 and currently 9 degrees with a windchill of negative 9) and I have done exactly one run outside since the day I found out I was pregnant (since not only will I not run outside in extreme cold right now, but also not in the ice and snow). A few more weeks (hopefully!) and some Vitamin D should do a world of wonders. So instead of focusing on what I can’t do – I am trying to focus on (and be thankful for!) 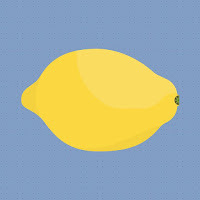 what I can do. Moreover, I think sometimes when becoming so obsessed with our own goals, we lose sight of what our friends are doing. Therefore, I am also using this time to stop worrying so much about what I am doing and instead to be the best supporter that I can be to those around me. I am shocked at how little (if at all) that women are educated about the stresses of labor, giving birth, and their bodies postpartum. Having a baby is a huge physical stressor. Yet the extent of care that most women receive is a 1-2 night hospital stay and a sparse computer printout containing general discharge instructions. There are so many things that nobody talks about (probably because most of it is pretty gross and embarrassing). The only “heads up” I had was from my close friends during hushed conversations. But why? Why are we so ashamed to talk about something that so many women experience? I was lucky. I had a short labor and minimal pushing. While I did have some scary moments during labor due to stacking contractions, the overall time that my body spent in “distress” was much shorter than most. I was certain that this meant that I would rebound fairly quickly and be back to my normal workout regimen in no time. However, that was far from reality. When I had my hip surgery, I received very clear instructions from the surgeon as to how to prepare my body for the stresses of surgery (both before and after). I had a very intense physical therapy protocol (both home exercises and 3x a week office visits). My doctor and my physical therapist each worked with me to create a clear path to returning to my optimal activity level. Giving birth is very different. And it shouldn’t be. I know that the issues that I am facing are not uncommon – but they are things that no doctor ever warned me about. I have a weak pelvic floor. I have abdominal separation. I have other internal issues as well. The only reason I know this is because when I tried to resume physical activity – things felt wrong. Not just “I just had a baby” wrong – but wrong wrong. My OB knew that I was a runner but never mentioned any of these warning signs or things that I may be feeling. She never mentioned the conditions that I am now receiving treatment for. I was lucky that she had no problem making a referral to a women’s PT practice – but had I not requested it I don’t know if I would ever have been referred for treatment. During my pregnancy nobody mentioned the pelvic floor or recommended that I do exercises to strengthen prior to giving birth. Unfortunately, this seems to be the case for most women. It truly is a shame. I encourage all women to educate themselves and to learn to be their own advocates. Being in good physical shape does NOT necessarily correlate to an easy recovery. The pelvic floor is a whole separate area of fitness that I wish I had understood sooner. Certain damage is inevitable – but the extent of it can be mitigated. Why are our doctors not talking about it? Why are women not being educated about this? Why is treatment not being offered and encouraged? When so many women experience one issue or another – why aren’t we talking about it more? Here’s to opening the conversation. Let’s talk about it. While the third trimester has (quite rapidly) gotten more difficult, these last few weeks (and especially this last week) have really been a test of patience. It always seems to happen overnight. I’ll be floating along in my routine and all of the sudden my body decides its really pregnant. Then it decides its really really pregnant. (This week it knows its really really really pregnant). By way of comparison, my “normal” running pace for a shorter distance run (non-pregnant) is typically between a 7:30 and 8:30 minute mile. As soon as I found out I was pregnant, my body decided it liked the 8:45 to 9:00 minute mile range better – and it sat at that pace for most of the first trimester. During the second trimester (and for much of the third trimester as well) my runs tended to be in the 9:00 to 9:30 minute mile range (of course, with some runs quicker or slower depending on the day). During the last two weeks, that pace is now steadily in the 10:30+ range. Certain things that I was able to do just a week ago seem unfathomable today. Mileage also has drastically dropped off over the course of this last week as well. While most days I have been able to do something, last week I took extra days off and started and stopped running right away on two other days. I know that it is all to be expected (I am almost 38 weeks after all and have a full-sized baby taking up real estate in my body), but it still surprises me how overnight some of these changes have occurred! The third trimester is well underway and I am definitely starting to feel pregnant! Running while pregnant hasn’t been easy by any means, but my body did seem to settle into a “okay, this is the ‘new normal’ pregnancy” state of being for the majority of the second trimester and into the beginning of the third. While each day has been an adventure and certain weeks have been more challenging than others, overall I’d say that I have been able to maintain a solid base and a not-too much slower than normal pace for the majority of the pregnancy. (I realize that I am extremely lucky in this regard). Now it’s starting to catch up with me. The added weight is noticeable now (making for extra achy shins) and my feet are starting to swell a bit where my already borderline tight shoes are feeling awfully cozy. My pace got slower (literally) overnight by about 30 seconds/mile. Some days I just look in the mirror and wonder how I am possibly going to keep getting bigger (if my due date is right, I still have a little over 9 weeks)! The funny thing is – despite these aches my body still feels its strongest when I am running. Walking fast feels more like a waddle (I am constantly yelling at Mike to slow down). Sleep and sitting can be almost impossible (I can’t stay in one position too long before my back starts acting up). But somehow – my body is more or less okay with me plugging away with the mileage. It doesn’t feel effortless the way that it used to – but it is the closest to normal that I feel on some days. One of my biggest complaints has been the chafing. My sports bras don’t fit and have left a deep gash-like wound across my chest (despite having sized up substantially and tried all different brands). Now that I have given in to the belly band, I have chafing all across my lower back and onto my hip. I finish every run looking like I have gone into battle. I have still been trying to keep my weekday runs around an hour and get in a two hour run on the weekend. I have already been able to maintain this much longer than I ever expected, so I’m just taking it on a day-by-day basis. Selfie from post-run on the hotel treadmill. Not so sure about the awkward angle! I think the most difficult change over these last few weeks has been the increasing need to use the bathroom during runs! This becomes extra difficult when I am also trying to make an effort to hydrate more. Yet another unpredictable element of pregnancy. Some days I have been able to get through my runs with no breaks and others I find myself stopping after just a mile or two! The temperature is finally starting to cool off a bit as well which should make things a little bit easier. The humidity has been rough lately and even though I am not wishing summer away, the slightly lower overnight lows make a huge difference in the humidity levels. If I could only use one word to sum up my experience running pregnant, it would be unpredictable. Every day is a big question mark – which for someone with slightly neurotic Type A tendencies not knowing what to expect on any given day can be difficult. It has required a level of flexibility that I am not used to giving. I have been incredibly fortunate to be able to continue running the mileage that I am and that I continue to feel strong and healthy. However, it is hard to continually adapt your mindset from one which is innately wired to try to do more and push harder to one of being overly cautious, hypersensitive and hyperaware of everything that is going on with your body. As the weather has been getting warmer, listening to my body has been becoming more and more important as it’s often too hard to tell what impact the weather will have until you are actually out there. Looking at the weather online and feeling it in real life can be completely different. I cut three of my outdoor runs short this week because it was just too hot and/or humid. Even though I start my runs early enough that it is still cool out, the summer sun has been coming through quick! In the grand scheme of things, I know that the miles don’t matter. The pace doesn’t matter. The only thing that matters is making sure that I do everything that I can to make sure that baby girl stays strong and healthy. My early morning runs have become a special time of reflection and bonding with her, a way to keep myself healthy, and something that I really come to look forward to. The best thing after my run yesterday! Another notable thing about the past few weeks is the major growth spurt that she seems to have had. Seemingly overnight the little baby bump has become a lot more prominent (which has resulted in some growing pains for me!) I finally bought a belly band but have yet to wear it because all the extra fabric just seems like it would be unbearable with the hot and humid weather this week. However, with her rate of growth and the start of the third trimester only a few weeks away, I’m not sure how much longer I will be able to put this off for! It’s getting harder to reach my toes (a good excuse for a pedicure)! During my last pregnancy training update I complained about not finding that second trimester “sweet spot.” However, by weeks 19 and 20 I finally started experiencing *some* of that energy that others have talked about. I have been steadily running about an hour a day during the week (plus or minus, less, my rest day(s)) and an hour to two hours on the weekends. This has allowed me to maintain regular weekday runs in the 6-8 mile range and long runs in the 10-13 mile range. I am lucky to have found a doctor who understands athletes and really hasn’t placed too many restrictions on me (all of which she has I am more than happy to abide by). This is truly a weird stage in my pregnancy because I feel as though its just a matter of weeks (days?) before things start getting a whole lot harder. The belly is definitely getting bigger by the day (I think this little girl must have had an overnight growth spurt). During week 20 I *finally* got up the courage to meet up with a local running club (which anyone who has read my previous posts knows is a big deal for me). I have a hard enough time breaking out of my comfort zone normally – but showing up halfway through my pregnancy (and far less confident in my pregnancy running abilities than in my “normal” running abilities) added a whole new wrinkle to things and extra level of intimidation. However, I’m so glad that I did finally go because running with a group was the highlight of my whole week (and now gives me something new to look forward too)! The best part about running with a group is that there are people of all different paces – so as I continue to get slower I will still have people to run with (and new friends to make)! So far everyone that I have met has been incredibly friendly and welcoming – I’m so glad that I finally forced myself to get out there (key – remind myself of this next time I am scared to do something). I have also been happy that there have been a number of runs where my legs feel lighter and more effortless (rather than me just feeling like I am constantly plodding along). All in all, I have been very happy with how these two weeks have went! How has your training been going? What are your goals for the next two weeks? I had a little bit of a meltdown this weekend (okay, more than a little bit of a meltdown). One of the many joys of these crazy hormones coursing through my body. It was over something seemingly simple – getting dressed to go over to a friend’s house. While the last few weeks have been pretty warm, this Fourth of July weekend greeted us with some unseasonably cooler temperatures. With my normal wardrobe growing tighter by the day, getting dressed to go out has started to range from unpleasant to downright stressful. While I have accumulated enough sundresses and skirts to get me through the hot summer months, I was wholly unprepared for a day where the temperatures peaked in the low 70s (making the nighttime much, much cooler). For someone who is chronically cold, I thought jeans would be my best option – until I realized that my jeans no longer fit. I didn’t want to wear workout clothes (which I had been slubbing around in all day) and I didn’t want to wear a dress or skirt (because I knew I would be too cold). This left me staring blankly into my closet for about a half an hour, with nearly everything I owned on the floor. I laid in bed and stared blankly at the ceiling. I yelled at my husband. I cried. (I ended up just wearing a dress). These are the very real parts of pregnancy that no one tells you about – crazy, irrational, and very real emotions. You know it’s going to happen (it’s part of the deal, after all). It wasn’t about the jeans not fitting (they had been on the cusp of wearable for quite a while and I am not delusional). But the completely unbearable sense of frustration (and maybe slight overreaction) when things that used to be simple just aren’t. When your husband just stands there, dumbfounded, because he doesn’t even know what to do with you (similar outbursts have occurred due to him eating the last ice cream bar and the restaurant giving me the last salad dressing). These meltdowns are never about the actual thing they seem directed toward, but rather just these suppressed emotions that come out at the strangest times. Thank goodness for having a husband who can (mostly) just laugh at it. Other than the great outfit debacle and going to a friend’s for dinner, this weekend was relatively quiet. I ran on Saturday and Sunday morning with a new running group (long run Saturday and recovery run Sunday) and drove out to Chicago to meet up with some old running buddies the morning of the 4th. Of course, my run back in Chicago concluded with conversation and coffee (which is one of the things I look forward to the most when running back there). I am a huge proponent of rewarding myself after my runs, which in this case consisted of a skim latte with cinnamon and a bowl of oatmeal. Once I got home, I was absolutely exhausted. After going out for a quiet lunch we came back and vegged out in front of the TV for a few hours and went to bed super early (no fireworks for me this year). What did you do this Fourth of July weekend? Were you able to squeeze in any extra miles? 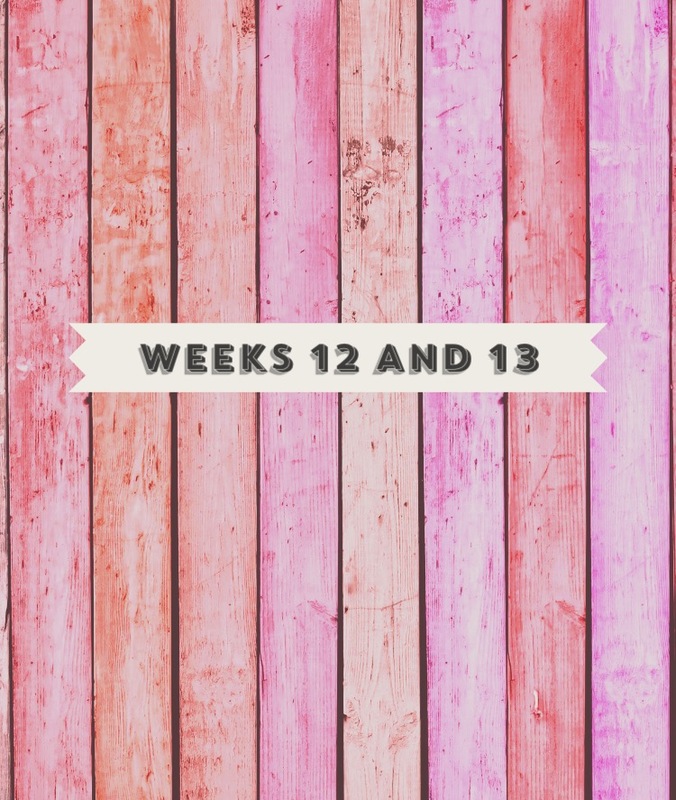 Fit Pregnancy Weeks 17 and 18 – Run Baby Run! I still have yet to find that “sweet spot” in the second trimester. While I am extremely happy that I have been able to keep up my mileage I am constantly aware of my body during runs (which is only intensified by the extreme chafing I have been experiencing due to most of my running clothes being on the snug side)! Since my 13 week appointment I have carried a water bottle with my during every run. On the shorter runs I carry only water. On the longer runs I carry a water-Gatorade mix (and will stop at home to refill if necessary). The handheld water bottle also has a pocket big enough to carry my iPhone so I have been making it a point to make sure that I always have that with me as well (along with my Road ID). For those that have run with me before – this is a whole new me as far as running preparedness goes! I think in the next few weeks I am going to look into purchasing a belly band to try to alleviate some of the pressure. While they look super uncomfortable, nearly every pregnant runner’s blog that I have come across swears by them. I figure, it doesn’t hurt to try! Since I am (almost) to the half way point in my pregnancy, I thought I’d share what my mileage has looked like so far. Keep in mind – I was training for a marathon during the weeks before I found out I was pregnant! (My weeks are also slightly off because my log runs Monday – Sunday, but my pregnancy weeks start on Wednesday). I have been lucky that my doctor has (mostly) been in the camp of “you can keep doing what you have been doing as long as you keep the effort easy” (with the exception of capping my long runs, which I have). Despite being able to keep up the mileage, my “easy” pace seems to be dropping by the week. My “default” pace is generally in the 7:45 – 8:15 range, with my “easy” effort in the 8:30+ range. In April, nearly all of my runs were in the 8:30-8:45 range. By May, they were ranging from the 8:30-9:20 range. Currently, I am in the 9:00 – 9:30 range. I stopped running with my Garmin as soon as I learned I was pregnant because I knew that if I knew what pace I was doing during the run, I would inevitably start pushing myself. Instead, I have been using an old school stopwatch type watch and then logging the mileage on the WalkJogRun website (which takes a little extra time, but definitely worth it for me)! The second trimester is now in full force and effect! As week 16 comes to a close, the most dangerous thing that I have found myself doing is comparing myself to others. I know that every pregnancy is different. I know that the most important thing right now is taking care of myself. But it doesn’t change the fact that it’s still hard! I have been searching a lot of other running blogs for information about running pregnant. I bought a few books as well, but the “dos” and “don’t” in a typical instructional book don’t typically get into the nitty gritty day-to-day information that I am looking for. Additionally, many times these books are written for those with less of a training background (not that I am a elite runner by any means, but my body is used to some fairly high mileage to begin with). The problem with the blogs (as well as any social media site, really) is that I am constantly comparing myself. I have already slowed down quite a bit. When my doctor cleared my mileage there were two major caveats that came with it: (1) I should be running at a comfortable pace (i.e. conversational pace) and (2) I had to keep my liquid consumption up and make sure not to overheat. While I intentionally have slowed all of my runs to a conversational pace – the conversational pace seems to be getting slower by the day! It’s also difficult to gauge “conversational” when all of your runs are by yourself. I have started intermittently talking to myself during runs to keep myself in check (if I wasn’t already the crazy runner in my neighborhood prior to pregnancy, I certainly am now). On social media I see other runners note that they have only slowed 20-30 seconds from “normal” – I am currently about 1 to 1.5 minutes slower! Others note that they have felt strong and powerful in the second trimester. I just feel slow and like I am plodding around. While I feel “good” in that my body enjoys the running (and I feel like it has really helped me with my pregnancy symptoms in many ways) I don’t feel “runner-strong” (if that makes any sense). Don’t get me wrong – I am so happy that I have been able to continue running throughout my pregnancy, especially considering that at the beginning I didn’t think that this would be a possibility. Maybe it just seems different because I am hyperaware of everything that my body is doing. Regardless, I am so thankful that I am able to do what I am doing and hope to continue to do so. Aside from running, I am also at a super awkward stage clothing-wise. My regular clothes don’t fit the same way (making it hard to find anything to wear that looks somewhat normal) and maternity clothing is much too big. Some days I look more pregnant and others I just look like I may have gained the freshman 15. It’s a weird, in-between stage and is becoming increasingly more difficult to manage as the weather gets warmer (and there are less layers to hide under). Running clothes are also a struggle. My sports bras don’t fit (at all). Most of my running shorts are fine but tops have been hard. I don’t know if I’m being overly self conscious, but since I don’t truly look pregnant I feel weird wearing anything form fitting or tight. I’m sure I’ll get over it real quick since today its 85 degrees and we are now entering the month of June! As far as everything else, I was fortunate enough not to have any major first trimester symptoms (which is maybe why the honeymoon of the second trimester seems so evasive for me). My food tolerances are (almost) normal again. I am still tired a lot (but not all day) – it just hits me hard in the evening hours. I had my 16 week appointment last Friday and had some blood drawn. I also got to hear the baby’s heartbeat again (which never ceases to be amazing). The next appointment is my 20 week appointment with another ultrasound so that’s something to look forward to! After having some issues early on, by Week 12 I was especially excited to finish the first trimester (and for my 13-week ultrasound) in hopes that it would bring some much needed peace of mind. Week 12 also marked the point where I felt as though I had “rebuilt” my mileage base back to a point where I felt comfortable. Most importantly, rebuilding my mileage made me feel much more like myself. Make no mistake – I was still taking each day at a time (with no agenda and no goals) but I was also allowing myself to conservatively increase the duration of my runs on the days that I was feeling good. The trick was to tell myself that I was just going to get out there for at least 10 minutes. If I didn’t feel good after 10 minutes, that was good enough and I would stop. Luckily, on most days I felt decent enough to keep going. Listening to my body… a whole new concept! 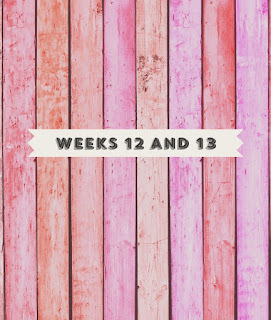 During Week 13 I had my end-of-first trimester appointment and all was well (thank God). We also got the blood work done for the genetic screening (and gender) with the results to come in 1-2 weeks (note, I commented that this seemed like an eternity and my doctor so kindly pointed out that they are mapping DNA and the process used to take years). We also got to see the baby move around, which was absolutely amazing. The next check-up will be at the end of the month and the next ultrasound will be at the end of June. During Weeks 12 and 13 I also started to experience challenges with my body image. I imagine this is something that most pregnant athletes struggle with. Obviously during pregnancy weight gain (within the doctor’s prescribed range) is a good thing. However, in the early stages it’s hard because your body is changing, your clothes are getting tighter, but you don’t really look pregnant. What also became difficult for me was differentiating between pregnancy weight gain and weight gain which may have been from *ahem* some newly developed, less-than-healthy eating habits. Because I had to stop nearly all physical activity for about a month early in my pregnancy, I gained weight quickly due to the fact that I was doing nothing but working during the day and coming home and laying on the couch all through the night/weekend. Added to that was the fact that all I could stomach was grilled cheese and mac and cheese (hello, toddler food) which is quite different from the somewhat more balanced meals that I normally eat. For a few weeks my food aversions were such that there was a limited rotation of food that I could actually stomach (the thought of vegetables actually made me want to vomit). I ate a lot of bagels, cereal, and noodles. I was okay with this because I figured it would pass and it was more important to get something in my stomach than worry about eating a properly balanced meal. While my food tolerance range has since expanded, I still find my tastes far different than they were before I was pregnant and subject to change on a daily hourly basis. Poor Mike (who does nearly all of the cooking at our house) has had to both anticipate and accommodate my whims. I am annoyed with my own pickiness – I certainly wouldn’t want to be trying to deal with me from the outside! Fortunately, as the first trimester progressed my aversions slowly became less intense. While there were certainly some days (evenings) where nothing sounded palatable – my appetite returned to semi-normal for breakfast and lunch. By the end of the first trimester I was certainly having many more good days than bad days. Being able to run again also helped me to feel better. Everyone says that the second trimester is the “honeymoon” period of pregnancy because many of the first trimester symptoms start to subside and you still feel fairly normal. I sure hope that this is the case! Regardless, I know that it will all be worth it in the end. Did you run while pregnant? What was your first trimester experience? 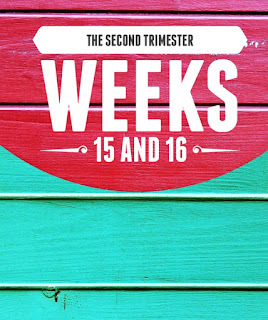 Is it true that the second trimester gets easier? Exciting News and Beginning a New Chapter!!! So, after months of keeping quiet – I am happy (ecstatic!!!) 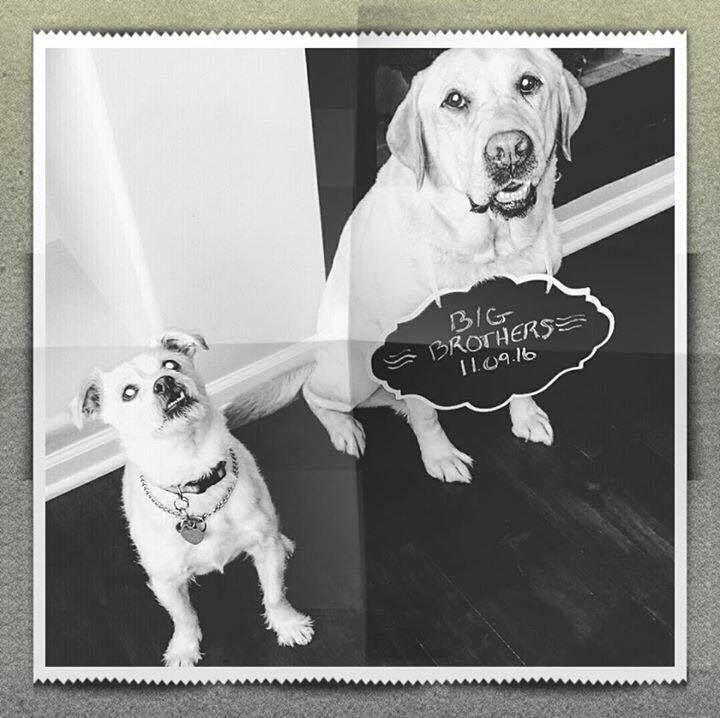 to announce that Mike and I will be expecting a new addition to our family in November 2016! No, we’re not getting a puppy! People often ask me “how I knew I was pregnant.” (At first I responded, dumbfounded, “ummm… I took a pregnancy test,”) but I’ve come to learn what they were really asking was what symptoms did I experience first. That answer is easy — running became hard. Since the beginning of the year, I had been loosely following a marathon training plan (meaning, I was following a marathon training plan without having actually signed up for a goal marathon). After two years of battling injury I was finally starting to get my fitness back (closer) to what it had been pre-surgery. I was killing my workouts and holding it together for hilly long runs. Then, all of the sudden one morning I could barely finish an easy 5 mile recovery run. I chalked it up to the intense training week I had the week before (hitting over 60 miles with two speed sessions) and figured it was just my body catching up to me. The morning of that week’s long run I decided to take a pregnancy test – and it came back positive. I was shocked (well, as surprised as one can be knowing full well that it was in the realm of possibility) and decided to do what I normally would do. I went for my run (which was a substantial cut back in mileage) and it was hard! Even my running buddy noticed that I seemed more winded than usual. Before I was pregnant, I had these grand allusions (delusions) as to what I thought running while pregnant would be like. Most of what I had read (and witnessed from friends) stated that women could keep on doing what they had been doing as long as their body would let them. In my head, I took this to mean I would carry on with my training and there may be a few days here and there where I wasn’t going to feel great (ha). Shortly after I found out about the pregnancy, I suffered a bit of a scare that required me to stop doing any physical activity for a few weeks (which ended up being about a month) while the condition was being monitored. Of course, as soon as there was any sign of a problem I stopped everything cold turkey (no more running, CrossFit, or even yoga or easy weights). This was difficult both mentally (in that running normally would be an outlet for all of the nervous energy) and physically (in that due to my abrupt decrease in activity levels, early on I was already starting to see weight gain well beyond that which they prescribe during the first trimester). But at the end of the day I knew that it was the right thing to do to ensure a healthy pregnancy (and it was what I had to do – no questions asked). After close monitoring and weekly appointments for about a month, I was finally cleared to return to “normal” activity – meaning that I was allowed to start easing back into running. When I was cleared to run again following surgery, I wasn’t even half way out of the doctor’s office before I laced up my shoes to start back up again. This time was different. I was still scared. I waited a few days before I even attempted a run and when I finally did it was less than half the distance that I had been cleared for. I trusted my doctor – but at the same time I wanted to be extra careful to ease back into it. I also knew that not running was an option, but because of my anxiety I knew that if I was healthy enough to do it it would help ease a lot of the nervous energy that I was experiencing. I realize that everyone experiences pregnancy differently and that those of us who continue running will have unique experiences. For me, it has been much more difficult than I anticipated. Even though I have been lucky enough to not really having morning sickness, I do get hit with waves of nausea and lightheadedness. Most days during the first trimester I was also extremely tired (and many times I didn’t realize how tired I was until I attempted to exercise). Some days were good and some days were bad. The most difficult thing was convincing myself that I’m not being lazy on days where I couldn’t seem to muster up the energy to get out there. Pregnancy (so far) has been an incredible lesson in really learning to listen to my body. As soon as I found out I was pregnant, I ditched the Garmin in favor of Timex stopwatch. I knew for me that this would force me to run according to feel (without the temptation to go faster or to push the pace). I am learning to enjoy running in an entirely different way and I am excited to share this journey with you.